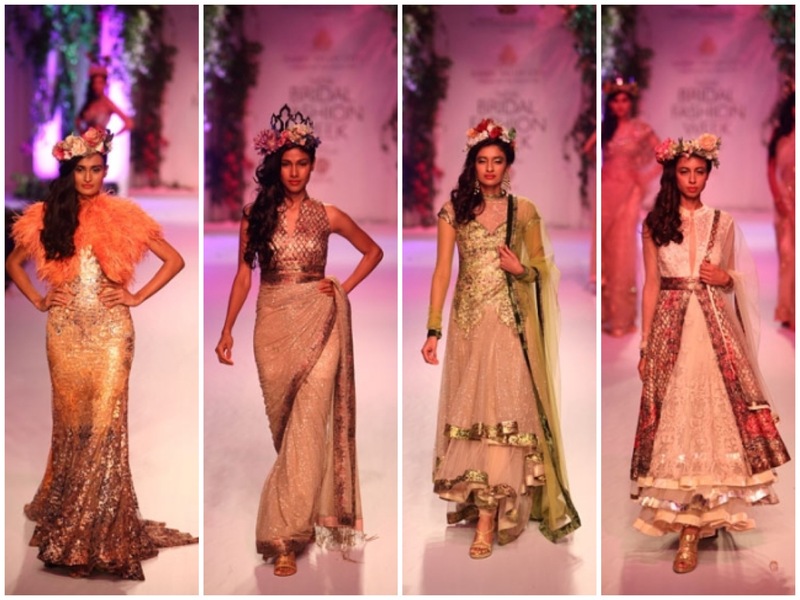 Falguni & Shane Peacock’s collection “Garden of Eden,” was filled with ghaghras, anarkalis, and kalidaar saris teamed with bustiers, halters and shrugs. 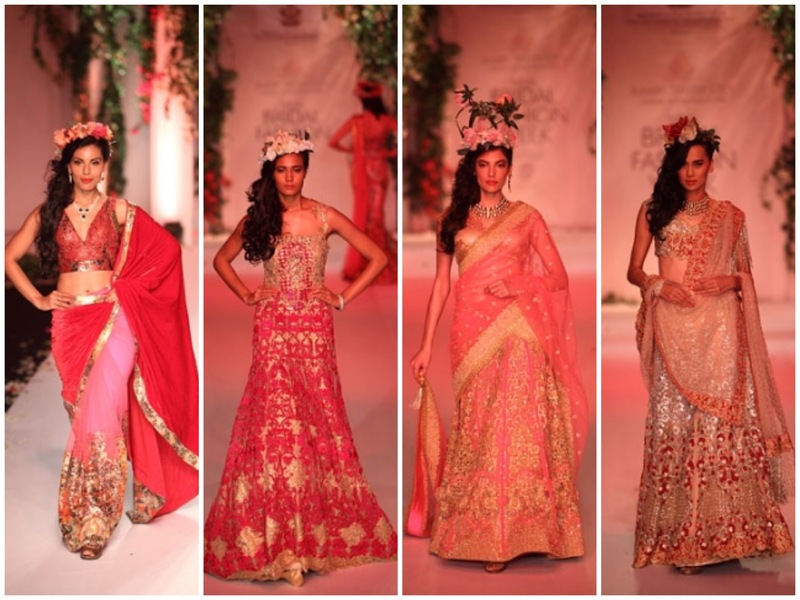 The collection had lots of pinks, gold, and ivory, mixed with black. 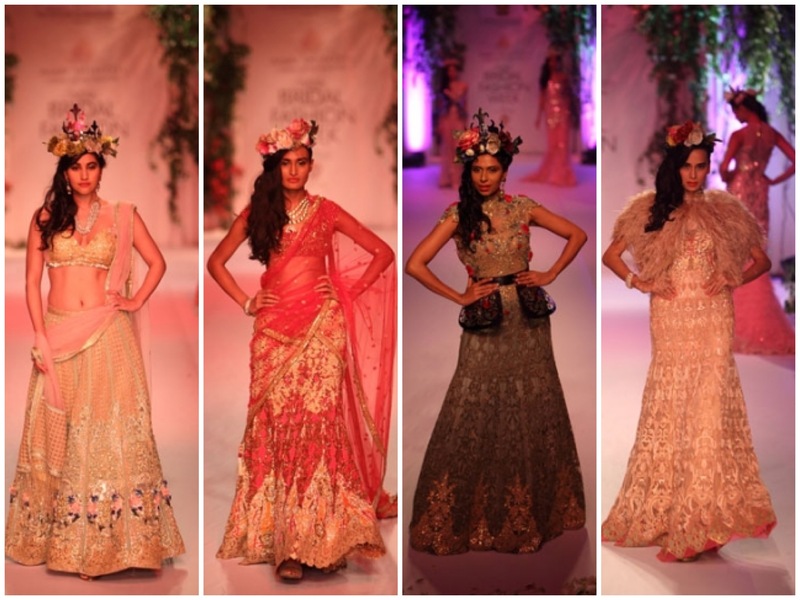 Floral motifs, vintage laces, and intricate work with chiffon followed the story of the collection. 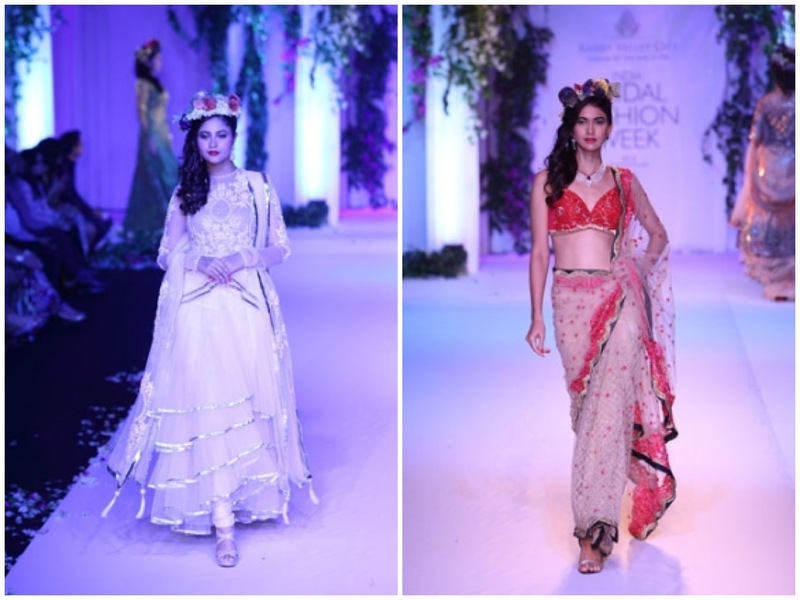 Raghavendra Rathore made his comeback to fashion week with this collection. 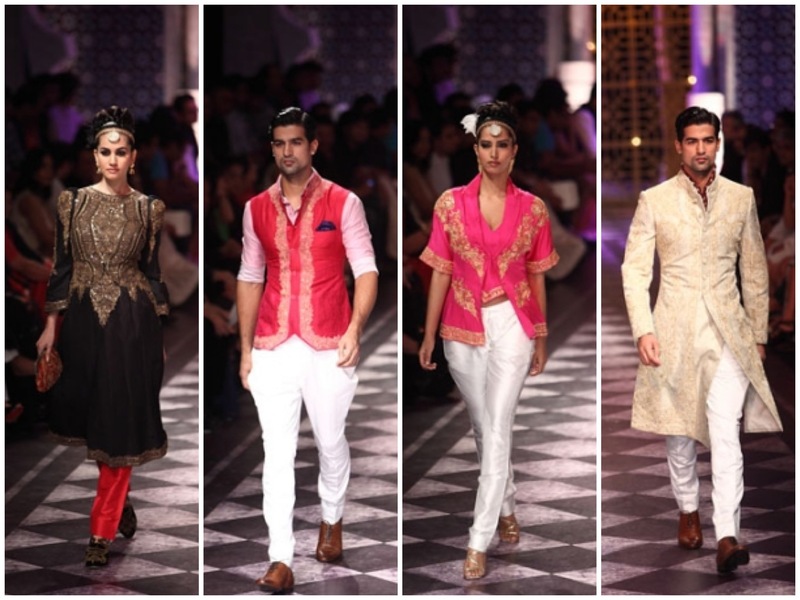 The collection was focused on fitted, dhoti pants, sarees, dresses, tuxedos, short and long jackets and kaftans. 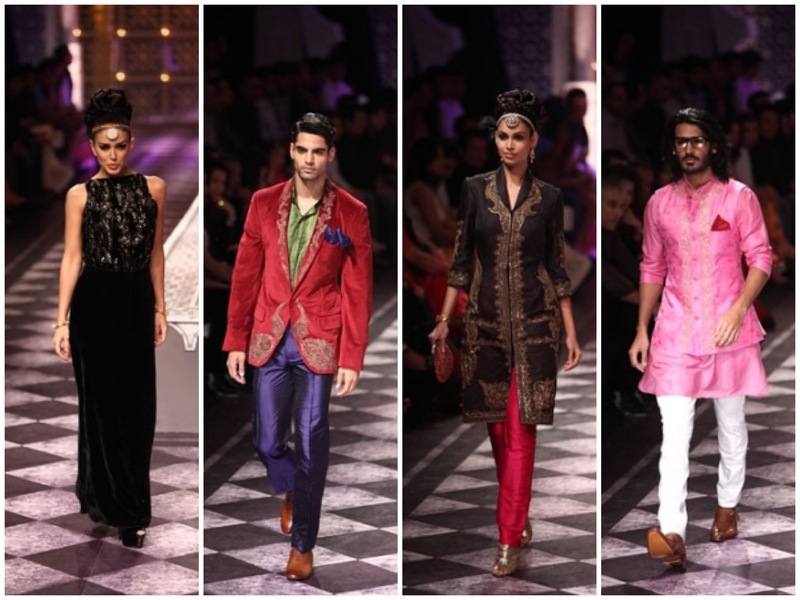 He finally stepped out from using black for menswear and used bright colors such as pink, burgundy, royal blue, maroon and red for his collection.